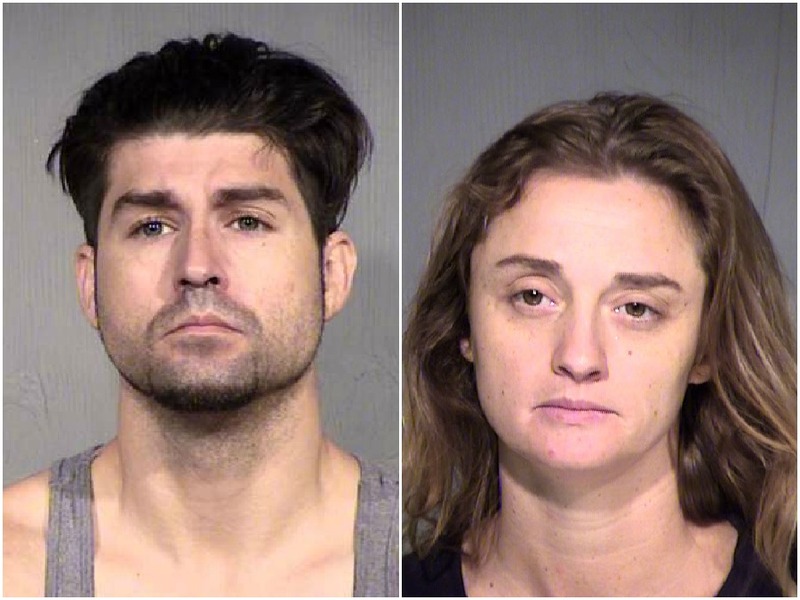 A murder charge has been filed in the case of human remains found in a Phoenix home. A second-degree murder charge has been filed against Leviticus Najar. On August 2, 2017 , Phoenix police were called to a house near 16th Street and Indian School Road. The homeowner called police after he discovered a truck toolbox, wrapped in plastic buried under a bedroom floorboard. Police say there was a foul odor coming from the inside of the six-foot toolbox. Officers cut through the plastic and opened the toolbox where they found an unstuffed mattress with a rope tied around it. Inside the box were several large trash bags where they found a human skull with duct tape wrapped around it. The homeowner said he was at the house to remove his daughter 36-year-old Metika Monet Najar and her husband Leviticus Najar from the home, which they have been renting. He removed the floorboard after noticing the floor was uneven in one of the bedrooms. Investigators learned that Leviticus and Christian Agusto Alvarez had ‘an ongoing feud.’ Some people police spoke with reportedly told them that Christian and Metika were romantically involved. Others said Leviticus was upset with him for showing Metika how to ingest meth intravenously. Matika and Leviticus Najar were arrested last August and charged with abandonment of a dead body. Court paperwork now shows that Leviticus signed a plea agreement admitting to those charges and is currently being held on a $500,000 bond for second-degree murder.